Readable and faithful commentary on Numbers detailing Israel through the wilderness years. The Hebrews lived through their wilderness years between Egypt and the land of promise. We have mobility, technology and resources undreamt of in the past. For many, howver, life seems more like a meaningless maze than a purposeful journey. 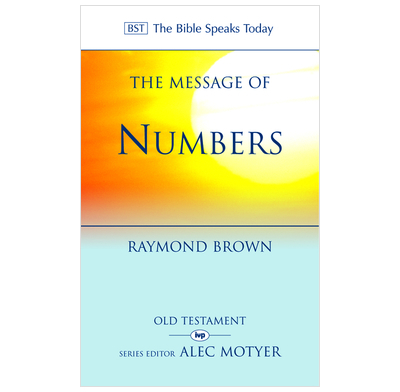 Yet the message God's covenant love that gives the book of Numbers its distinctive radiance is particularly relevant to our world, believes Raymond Brown. Skilfully opening up the ancient narrative of the wilderness journey, he shows that what is essential to human life has not changed - a natural craving to be loved, to have freedom, to be clean within, and to have an anchor for one's hopes and dreams. The book of Numbers, he demonstrates, offers a portrait of a better life and an ultimately secure future. Though the journey of life is hazardous, we are accompanied on it rather than abandoned to a lonely fate.